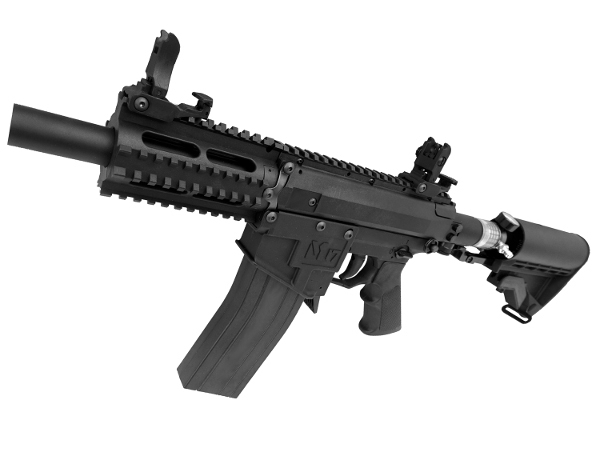 In early 2014 MILSIG released the M17 CQC and took the new MagFed market by storm. MILSIG is proud to introduce their new M17 A2. Utilizing the same polymer encased steel construction of its predecessor, the M17 A2 is an improved version of the same multi-role phenomenon the CQC became. Marksman and FSR, Close Quarter Combat and paintballs, or any role in between, the M17 has served them all with distinction. The M17 A2 runs on a fully mechanical and internally regulated blow forward system called the HeatCore. The HeatCore has made its name with its extreme ease of maintenance, reliability, and consistency. While the HEAT Core is best known for it’s mechanical Full Auto function, its superb +/- fps consistency over the chronograph has won over many long range shooters where stable velocities are a must for accurate shooting. Please note - pictures are for illustrative purposes only, air system is not part of the package.